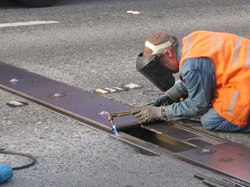 The California Department of Transportation has established a Bridge Preventive Maintenance Program to help local agencies extend the life of their bridges by funding certain activities that have been pre-approved by the Federal Highway Administration (FHWA). 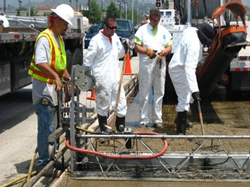 The Department of Public Works is partnering with various Cities in the County of Los Angeles to secure the available funding and implement preventive maintenance on over 400 County and City owned bridges. 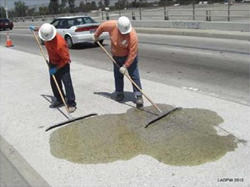 Preventive maintenance treatments include replacing deteriorated expansion joint seals, sealing concrete bridge decks to reduce the amount of water infiltrating the bridge, applying protective deck overlays, and minor repairs and other measures to slow the rate of deterioration of bridge elements. The Bridge Preventive Maintenance Program aims to maintain the existing inventory of bridges in a structurally safe and serviceable condition by correcting minor structural defects and deficiencies early in a bridge’s life, rather than waiting until a bridge has major problems requiring costly rehabilitation, reconstruction, or replacement. 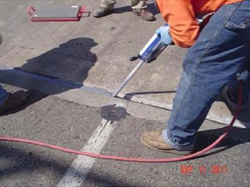 When properly applied, preventive maintenance is a sustainable practice that offers a cost-effective way of extending the service life of bridges and makes efficient use of limited funding.